We recognise the importance of good energy management for the economic and environmental well-being of residents, businesses and employees. Below is information on our Energy Efficiency Adviser service, local oil stamp saving scheme, community oil buying clubs, grants and assistance, money saving tips and more. Fuel Poverty is the term used to describe the situation whereby a household is required to spend more than 10% of their income on household fuel bills. The extent of fuel poverty in the Mid and East Antrim area has been steadily increasing at a staggering rate over the past 10 years from 28% of households being considered ‘fuel poor’ in 2001 to 35% in 2006 and up to 43% in 2009. This is just below the Northern Ireland average of 44% with almost one in every two households in the country experiencing Fuel Poverty. The cold puts a strain on the body and every year in Northern Ireland there is around 800 excess winter deaths as a direct result of the cold, with many more becoming ill. The most recent figures suggest that the highest rates of fuel poverty are found amongst older retired people, those not in work and those living in isolated rural dwellings. These vulnerable groups have not significantly changed since 2006 although the total numbers affected have increased overall. Factors such as the economic downturn and the rising fuel prices since 2006 have, and may continue to place more and more households at risk of fuel poverty. Keep an eye on room temperatures. Ensure your room thermostat is set to 21o C in living rooms and 18o C in all other rooms. Babies who are wrapped up in blankets can be kept in rooms at 18o C.
Keep warmly dressed in cold weather by taking time to wrap up before you go out in the cold (hats, gloves, scarf and a good warm overcoat) and ensuring that you wear warm clothes (light layers such as vests work well) or a blanket while you sitting at home for long periods during cold weather. With so many unclaimed benefits it is worth finding out if there is extra income available to you by getting a Benefit Entitlement Check. There are number of local agencies that can help you with this including Citizens Advice and the NI Direct. For help making your home warmer there are Grants and Assistance for central heating and insulation measures. 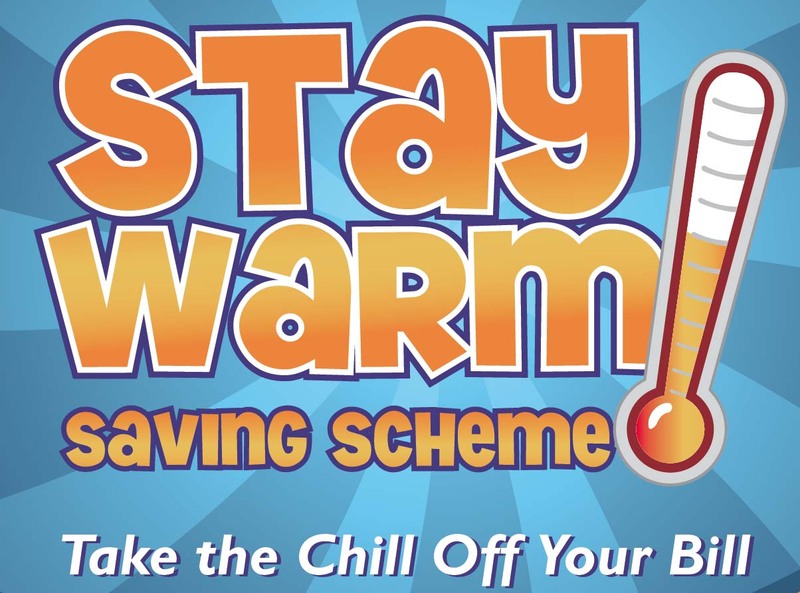 To help you budget for your home heating oil an Oil Stamps Saving Scheme operates within the Mid and East Antrim area. One to one support includes onward referrals to energy efficiency schemes and support organisations, advice on current household energy use, management of current household energy use, management of current heating systems, advice on budgeting for fuel, and if required the temporary installation of energy monitors and thermal imaging of homes to identify areas of heat loss. 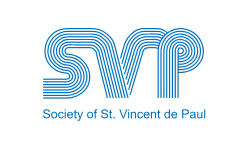 The ‘Stay Warm Saving Scheme’, operated by the Society of Saint Vincent de Paul and supported by Mid and East Antrim Borough Council allows you to spread the cost of your home heating oil by buying oil stamps at local retailers. purchase £5 oil stamps from participating retailers. Stamps are non-refundable. place your oil savings stamp onto your savings card in the spaces provided. Each stamp holds 30 stamps. Please check with the oil supplier to see how they expect to receive you card(s). Cards do not have to be full – part completed cards will be accepted as payment/part payment. It is your responsibility to comply with the payment method of your chosen oil supplier. Neither Mid and East Antrim Borough Council nor St Vincent de Paul will be liable for oil stamps or oil stamp cards which are lost or stolen. Once oil stamps have been sold they are non-refundable from stamp outlets. Customers should ensure that they keep their stamp card in a safe, secure location. Mid and East Antrim Borough Council would like to thank all the participating retailers and oil suppliers for their support of the scheme. The Council has also been working with a number of local community clubs to set up community oil buying clubs. By co-ordinating orders for domestic heating oil in an area, the clubs are able to negotiate discounts with the oil suppliers by buying in bulk. The clubs are a great way of helping communities make home heating oil more affordable. Everyone within the club pays the same price per litre regardless of the quantity of oil ordered and everyone benefits from the lower prices that can be negotiated by bulk buying. Club members are able to buy smaller quantities of oil at regular intervals. In each club the householders register to join. The club sets its order deadline dates throughout the year and householders place their order by the deadline. Each club has a community co-ordinator who negotiates the best price from a range of suppliers and informs members of the price, supplier and the date of delivery. Each householder is responsible for paying the oil supplier directly by cash, oil stamps, debit or credit card. Oil club members have commented that being part of the club has allowed them to get smaller amounts of oil more often, saves them ringing round for quotes, helps them to budget better and has given them peace of mind. The Affordable Warmth Scheme is one of the Department for Communities tools in tackling fuel poverty. The scheme is delivered in partnership with local councils and Northern Ireland Housing Executive to specifically target areas of severe and extreme fuel poverty. Councils have been provided a list of properties to target and to be eligible for the scheme an occupier must be an owner occupier or privately renting and have a gross annual household income less than £20,000 (which includes most benefits). You may be eligible for a number of energy efficiency measures such as insulation and heating measures through this scheme. For further information contact our Affordable Warmth Co-ordinator on T: 0300 124 5000. Each grant has its own eligibility criteria and you need to be on a low income to qualify for many of them. The grants open in April each year - by December each year the money is often all used up so you should apply as soon after April as you can. A list of current schemes can be found on the Utility Regulator website. Visit NI Direct to find additional information. If you are aged 60 or over you may get a Winter Fuel Payment to help pay for keeping warm in winter. This can be between £100 and £300 depending on your situation. Renewable energy can be defined as ‘the energy flows derived from natural sources that are continuously at work in our environment and are not depleted by being used’. Renewable energy produces significantly less carbon dioxide than traditional methods of energy production and therefore does not contribute to global climate change. Because renewable energy is produced by natural resources, such as wind, sun and water, it will never run out, providing us with a sustainable option for future energy supply. Renewable energy also has the potential to supply 100% of the UK’s power but currently only provides 2.8%. There are different types of renewable technologies available for consideration, all with their own advantages and disadvantages, including solar panels for hot water, solar photovoltaics or wind turbines for electricity generation, ground source heat pumps, biomass boilers, etc. Is there a member of your group who can use a sewing machine and would be happy to show others how to use one? Mid and East Antrim Borough Council, through funding provided by the Public Health Agency, are delighted to offer local community groups access to their ‘Sew Energy Efficient’ programme - a lending service for sewing machines to enable groups to learn basic sewing machine skills and make a draught excluder. So why not enquire today and try a free fun way of communal sharing and learning. Using a slow cooker is an easy way of making tasty nutritional meals at affordable prices. They are cheap to buy, cheap to run and make the most out of cheaper ingredients which benefit from a longer cooking time. Preparation time is quick and you can make extra servings to refrigerate or freeze for later. They are also portable so you can take it anywhere and plug it in. Slow cookers are great for stews, soups, curries and joints of meat but they can also be used to make desserts and for baking cakes, cookies and brownies. Recipes are normally provided with your slow cooker but there are many more available online. By cooking your own meals you know exactly what you’re eating and slow cooked meals can have all the nutritional requirements that you need without much effort and spending lots of money. We currently offer ‘Slow Energy Efficient’ practical 2 hour sessions to local qualifying community groups to highlight the benefits of slow cooking. If you are part of a group that might benefit from this programme or would like further information please contact Karen Bruce on T: 028 2563 3118 or E: karen.bruce@midandeastantrim.gov.uk.